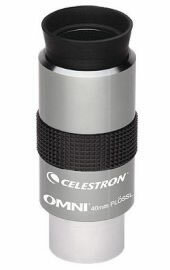 The 4 mm high power Omni eyepiece is a 4 -element premium symmetrical Plossl optical design. 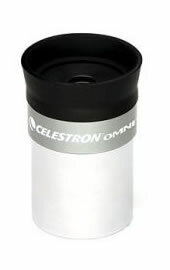 Features include blackened lens edges to minimize internal reflection and maximize contrast, multi-layer coating group on each lens surface to maximize light transmission and contrast, and each Omni goes through a two-step anodizing process to prevent reflection from the top eyepiece barrel, unlike most other manufactures who use reflective surfaces. 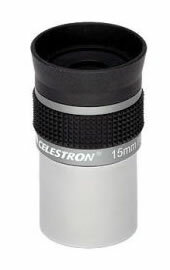 The 6 mm high power Omni eyepiece is a 4 -element premium symmetrical Plossl optical design. Features include blackened lens edges to minimize internal reflection and maximize contrast, multi-layer coating group on each lens surface to maximize light transmission and contrast, and each Omni goes through a two-step anodizing process to prevent reflection from the top eyepiece barrel, unlike most other manufactures who use reflective surfaces. The 9 mm high power Omni eyepiece is a 4 -element premium symmetrical Plossl optical design. Features include blackened lens edges to minimize internal reflection and maximize contrast, multi-layer coating group on each lens surface to maximize light transmission and contrast, and each Omni goes through a two-step anodizing process to prevent reflection from the top eyepiece barrel, unlike most other manufactures who use reflective surfaces. 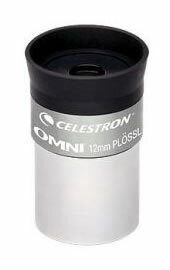 The 12.5 mm high power Omni eyepiece is a 4 -element premium symmetrical Plossl optical design. 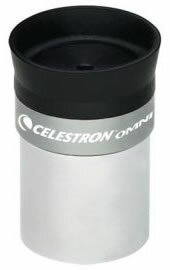 Features include blackened lens edges to minimize internal reflection and maximize contrast, multi-layer coating group on each lens surface to maximize light transmission and contrast, and each Omni goes through a two-step anodizing process to prevent reflection from the top eyepiece barrel, unlike most other manufactures who use reflective surfaces. 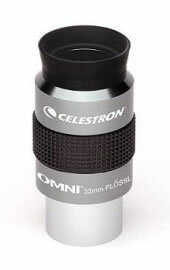 The 32mm low power Omni eyepiece is a 4 -element premium symmetrical Plossl optical design. Features include blackened lens edges to minimize internal reflection and maximize contrast, multi-layer coating group on each lens surface to maximize light transmission and contrast, and each Omni goes through a two-step anodizing process to prevent reflection from the top eyepiece barrel, unlike most other manufactures who use reflective surfaces. The Omni Plossls represent the peak performance for all 4 element Plossls of this type, due to their coating, internal baffling and quality control. The 40mm, 32mm and 25mm Omni Plossls are particularly noticeable in being superior when compared to apparently identical competing 40mm, 32mm and 25mm models. 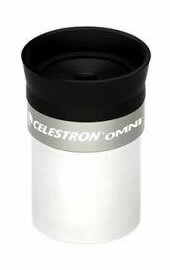 The 40 mm high power Omni eyepiece is a 4 -element premium symmetrical Plossl optical design. Features include blackened lens edges to minimize internal reflection and maximize contrast, multi-layer coating group on each lens surface to maximize light transmission and contrast, and each Omni goes through a two-step anodizing process to prevent reflection from the top eyepiece barrel, unlike most other manufactures who use reflective surfaces.